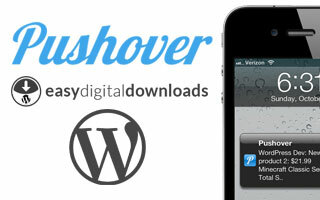 Pushover Notifications for Easy Digital Downloads integrates your digital store with your life, allowing you to receive push notifications of sales, daily earnings, and discount code information on your iOS and Android devices. Be notified of sales details including what was purchased, the total sales amount, and if discount codes were used. Stay informed of your earnings with nightly sales reports with the days take. Never miss an opportunity to promote a discount code with notifications for discounts nearing expiration or if a limited discount is close to being fully consumed.